There are so many misconceptions about autism, and so many things that have been blamed for causing it, from vaccinations to poor parenting. But what is it, and what is the real cause? A child with autism has difficulty learning social and communication skills. Such a child will have trouble understanding and developing language, will not be interested in communicating with other children or adults, and won’t be seeking their attention or even pay attention to them. The child will have difficulty interpreting gestures, body language, expressions, and emotions. Autistic children are not mentally retarded—in fact, many of them exhibit higher intelligence than average, and some have extraordinary capabilities in different fields, such as memory, mathematics, the arts, and physics. Today in the US, the prevalence of autism is estimated to be 30 times higher than it was 40 years ago. In part, this is because our understanding and definitions of autism have changed over the years. Children who were wrongly considered mentally retarded in the past are now recognized as being autistic. Children who were thought to be “very shy and introverted” in the past actually had mild symptoms of autism. But this still doesn’t explain the exponential rise in the condition. Over recent years, science has shown that autism has a genetic basis. We also know that environmental factors make a significant impact on the stability and quality of our genes— advanced paternal age, air pollution, Vitamin D deficiency, heavy metals, and exposure to certain infections during pregnancy have all been related to a higher risk of autism. But even these factors do not explain why the incidence of autism has risen so much over the last decades. So what is it in our environment that can explain this rise? What do we have now so abundantly, that we didn’t have 40 years ago? Exposure to electromagnetic radiation through mobile phones, Wi- Fi routers, cellular networks, radio and TV antennas—and even high voltage electricity lines—has rapidly increased over the past four decades. Today it is all around us, in our pockets, in our homes, on the streets, in shopping malls, cafés and restaurants. You can’t escape it. Open your Wi-Fi app on your phone and see how many routers are currently transmitting to you. You can be in a remote village in the countryside and still be surrounded by this radiation. Even if you never use a cellular phone in your life, you will still be heavily exposed. Proving that EM radiation is a direct cause of autism is very difficult. It’s impossible to quantify exposure, and to eliminate the influence of other factors such as different types of environmental pollution that definitely could be contributing to the rise in autism. But the circumstantial evidence is accumulating: Increases in RF exposure rates and autism rates have closely correlated over the years; cellular examinations and behavioral studies on rats have suggested negative effects from EM radiation exposure; some studies indicate that carrying mobile phones affects the quality of sperm; while others link early cellular phone use with the development of brain tumors later on in life. Pediatric neurologist Professor Martha Herbert has published several articles showing the connection between EM radiation and autism. I am certain that in the near future, more studies will reveal more evidence of the effects of EM radiation on our health. The question is, what can we do about it? Unfortunately, at the moment, no one has a good answer. 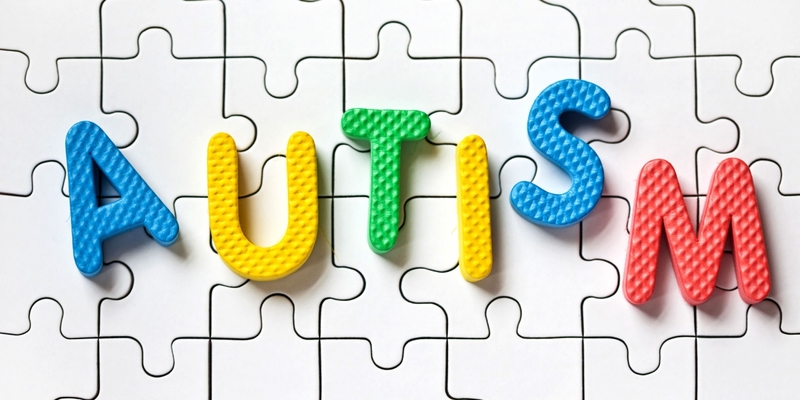 Autism should be detected at an early age to allow for early intervention, which is very important for both autistic children and their parents. Teaching and raising a child with autism is very different from raising an ordinary child—these parents need to learn a new way of teaching their children, showing them how to behave and how to cope in different situations. A baby who doesn’t have a “social smile” by the age of two to three months (such as smiling back at a parent). A baby who avoids long eye contact. By the age of two to three months, most babies should be able to gaze at their parents and even try to imitate facial expressions. A baby who doesn’t show interest in his or her environment within six months. Most babies at this age will try to reach for new objects and explore them, manipulate them, turn them around, pass them from hand to hand, and so on. No babbling back to parent or communicative expressions by nine months. No “separation anxiety” or fear of strangers by nine months. Children with autism will not show anxiety when their parents leave them alone or with a stranger. No understanding of nonverbal communication (such as gestures) after one year—blowing a kiss, waving bye- bye, or pointing at objects of interest to get the parent to notice them. Babies with autism will rather draw the parent by the hand toward the object, or stare at the toy and grunt. Not saying a word by 16 months. No imaginative play at 18 months (e.g. pretending to talk on the phone, pretending to feed a doll). No meaningful two-word sentence by two years old (not just repeating words). Restricted behavior (doing the same activity over and over again—for example, walking around in circles or flapping the hands repeatedly). Restricted interest (showing interest in only certain objects and neglecting others). Unusual play (e.g. continuously banging cars together instead of “driving” them). Showing no interest in other children by 18 months old. Any loss of previously acquired social or communicative skills. If your child shows any of these red flags, this does not automatically mean that he is autistic—hearing loss is another possible cause of these behaviors. In any case, he should certainly be evaluated by his pediatrician, as early diagnosis and early intervention will result in a much better outcome. BIO: Dr. Jonathan Halevy received his degree from the Sackler School of Medicine of Tel Aviv University, and then underwent his residency in the Pediatric Department of the Wolfson Medical Center in Israel, earning his certification as a specialist in pediatrics. He is Head of Pedatrics at Family Medical Practice, HCMC.